Episode 9: Are there parasites in my Sushi? Jul 24 Episode 9: Are there parasites in my Sushi? Does the news about parasites in sushi have you avoiding your favorite restaurants? Learn all about the worms and how to avoid them. Tiny Vampires has joined the Agora Podcast Network! I am very excited to have joined such a supportive team and really look forward to learning from them. My goal is always to bring more of the science you want to you and I really feel Agora will help me towards that goal. 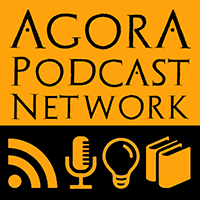 Please take the Agora Podcast Network Survey. It will help my new network to get to know my listeners and will also make sure that we are creating the types of podcasts you enjoy. The paper discussed in this episode was "Diphyllobothrium nihonkaiense Tapeworm Larvae in Salmon from North America"
Just a few of the news outlets that reported on the problem of parasites in sushi discussed in this episode: CNN, BBC, WebMD, New York Daily News, Business Insider, and Bug Bitten.